So on my art site, I just soft-launched my shop. By soft launch, I mean —— ssssh —— I’ve only told a handful of folks. I haven’t done any MARketing. Marketing. Mark making. Not a ting. Shame. Fear. Laziness. Introversion. Lack of Courage. Guilt. Take any of those words and mix them together with old thoughts, and boom. SILENCE. I was chatting with several artists recently about this phenomena. Why is selling “products” a dirty word in the art world? By art world, I loosely mean the academic art world. It goes without saying that those artists who have an Etsy shop presumably have no hesitation, internal conflict, or whatnot about putting their stuff out there with a price tag on it. One gal commented that it is the censoring voice of one’s former prof —- who probably isn’t even making art anymore! [Meow] And, even if they are, they are tenured professors — so no need to get messy with the concept of money. Or it might be that the BIG art market wants things to remain in the old system, so that pricing can be controlled and manipulated – like the stock market. What I know for sure, as Oprah often says (blush) —— my shop is live. Check her out. 1) Contour line drawings (as fine art prints) from a project on Instagram where I draw my phone and hand first thing in the morning before turning the phone on. 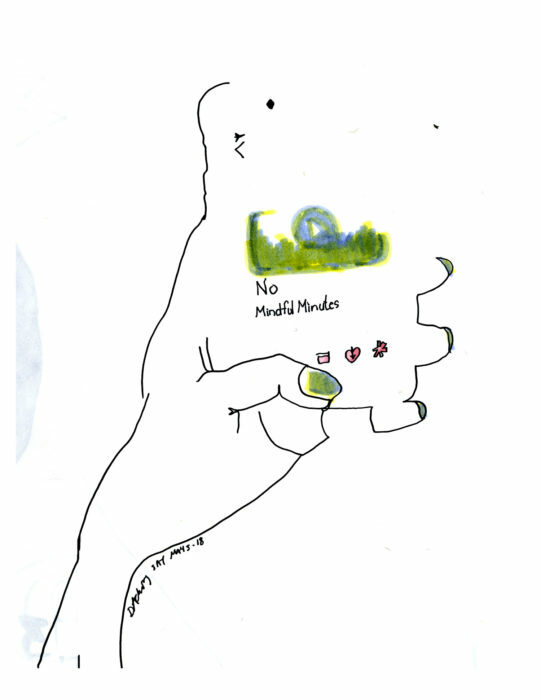 2) Drawing/collage of hearts and the neural network.